Napoli president Aurelio De Laurentiis believes Jorginho could soon become a Manchester City player. Jorginho is one of Pep Guardiola’s top targets this summer. The Napoli midfielder enjoyed a wonderful season, scoring 4 goals in 39 appearances. A number of clubs were impressed with his performances, with Manchester United being one of them. But it seems Manchester City have won the race for his signature, and will complete the move in the coming days. In an interview with The Sun, Napoli president De Laurentiis admitted that the his club and the Cityzens have held positive talks over the weeks, but are yet to agree on the fee. But the deal could be closed in the coming few days. “I think the deal can be done in the next few days,” he revealed. “Everything is possible as we have a good relationship with Manchester City and their people but we must negotiate. Manchester City have been in talks with Napoli over the past few months. In fact, according to Goal, the English champions saw their initial offer of £44 million immediately thrown out of the window. De Laurentiis clearly told the City officials that he needs more than £60 million for the player. And it seems like they have come close to the figure in recent weeks. 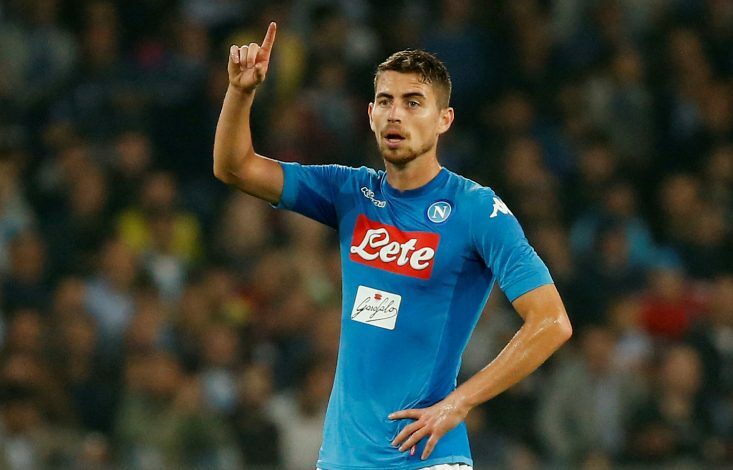 Jorginho appears set to replace outgoing midfielder Yaya Toure. The Ivorian International will be leaving after spending eight seasons at City, and scoring 79 times in 316 appearances in that period. Guardiola intends to make minor tweaks to his Premier League winning squad. As per reports, City are also closing in on Leicester City’s Riyad Mahrez. The Algerian International is on the verge of making a £75 million switch to the Etihad outfit, with agent fees being the only aspect left to be discussed.